Which element do آپ think suits Catelyn best? Do آپ think that Michelle Fairley is the perfect choice to play Catelyn? How would آپ describe catelyn? Which one of her kids does Catelyn loves most? چنیں پرستار: She loves them all,equally! I really don't understand why the GOT fandom hates her so much! Okay sure some likes her... But finding a پرستار of hers is like finding 1 million dollars in your own pocket یا something! The Game of Thrones character Catelyn Stark is the wife of the main series character Lord Stark. She and Lord Stark, otherwise know as Ned Stark have five children. As a mother of five she has her work cut out for her but a sixth child is also involved in the Stark family affairs. He is the son of Ned but Catelyn is not his mother although she is not unkind to this son called Jon Snow.As the Lady of the Stark house Catelyn is a powerful woman and woe betides anyone who crosses her. a comment was made to the poll: Funnier made up Catelyn quote? a poll گیا دیا کر شامل: Funnier made up Catelyn quote? 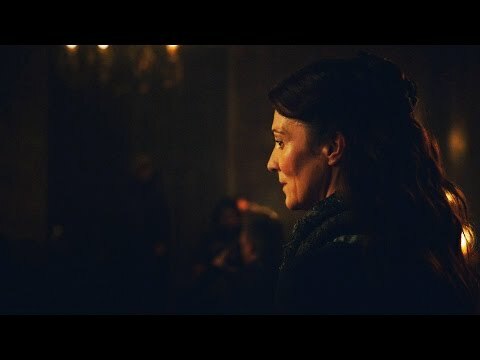 What did Catelyn say to Robb in this scene? "We will kill them all!" "I do love آپ my boy. My first boy!" "I remember the دن آپ came into this world"
"Let's go home, a battlefield is not a place for you"